Woodland within the Black Wood of Rannoch. The Black Wood makes it sound dark but the reality within the wood is the colour and diversity of this ancient remnant of the Caledonian Forest (Great Wood of Caledon) containing predominately Scots pine and birch. 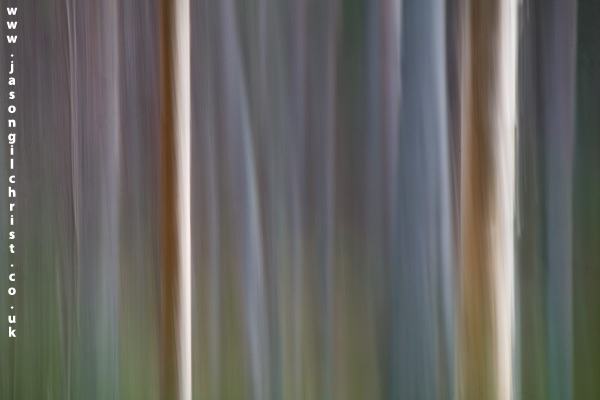 Intentional Camera Movement (ICM) abstract with trees.